Tangram worked with Vancouver based SnapStands Interactive Inc. to redesign their connected social media photo booth. SnapStands had developed an innovative software application for capturing event photos on-site and sharing them in real-time via social media. Tangram redesigned the enclosure for the interactive kiosk developing a new system that improved overall user-experience, manufacturing, and reduced transportation costs. 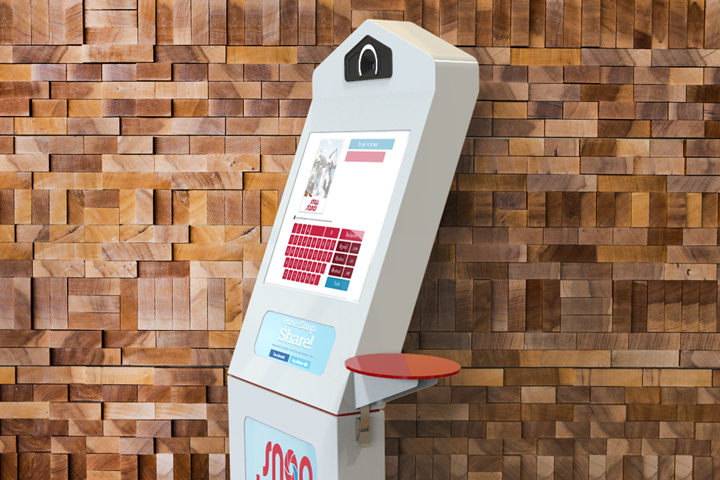 Traditional kiosk designs tend to focus on making the device appear “high-tech”. 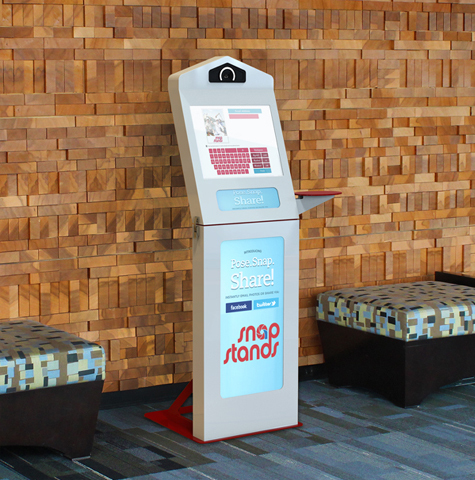 The form and design details of the new SnapStands kiosk emphasize the social nature of the application resulting in a more enjoyable and memorable experience for the user. In a technical sense the new design allows the kiosk to be folded in half during shipping and between events. The folding feature dramatically reduces shipping costs and also the system to be transported in a standard car and be set up by a single person.